WITH the current and predicted restrictions on water usage, rain and stormwater re-use is fast becoming a standard requirement on all projects. 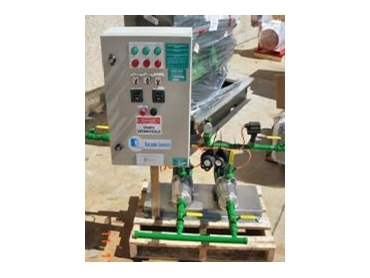 Re-use systems normally take the form of pressure systems to run irrigation and flush toilets. Kelair's engineers have identified two different control principles for operating re-use systems, either the Kelair-RRS or a Solenoid top-up system. The Solenoid top-up system is commonplace but has significant disadvantages. If the pumps fail or there is a power outage, then critical systems such as toilets will not operate. Often dual pumpsets are used to offer redundancy. However, the Kelair-RRS range features a robust industrial-rated solution for rainwater re-use. The system includes automatic towns' main back-up in the event of power failure or insufficient rain/storm-water supply. Due to the flow and pressure ratings of the Kelair-RRS, any pump or pump system can be connected.